CONYERS, Ga. -- Last month, we reported on Elks Aidmore, a children's charity based in Conyers. The organization was in serious need of donations, as its closet was practically empty. Misty Barry is the founder of Grace's Closet, a clothing closet that helps north Georgia foster children and families. 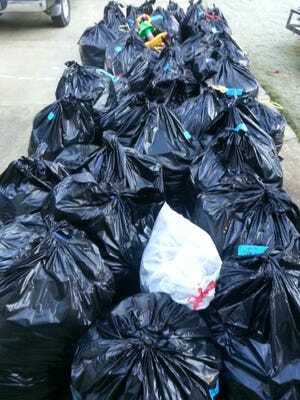 Barry's basement was filled with bags and bags of donated children's clothing. After seeing our story, she decided to give all the items to Elks Aidmore. Volunteers removed 50 bags of clothing from Barry's home and delivered them to Elks Aidmore.